With this week’s Rewarding Times, we have teamed up with Barker's Bistro in Blackrock to offer great value on a 3 course set menu meal with a specially selected bottle of red or white wine for only €55. Tucked up the heart of Blackrock, Barker’s Bistro reflects today’s love of relaxed informal dining. 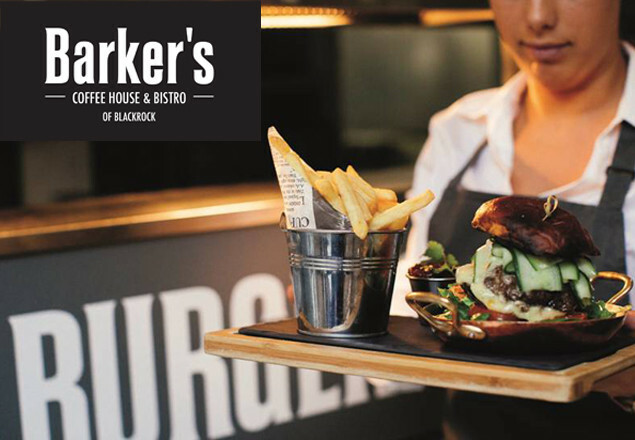 At Barker’s of Blackrock, the ethos is simple: provide a relaxed atmosphere with great honest-to-goodness food. Barker’s of Blackrock believe in local and that goes for thier suppliers too - so all of their meat, fish and vegetables are sourced from the best farmers, fishermen and growers that we could find. Free-range Chargrilled Cajun Chicken Burger with Fries, guacamole and home made salsa. Vouchers are valid from July 7th to September 15th 2016. Vouchers to be used on Thursday, Friday and Saturday nights only. Three courses for two people from set menu only including a bottle of house wine.